It was inevitable, the rise of free-to-play and gaming companies looking at alternative revenue streams, someone was going to compare the monetisation models adopted to gambling, so let’s talk about Loot Boxes and Gambling. Battlefront II launched on 17 November 2017, and was immediately met with consumer back-lash, specifically for the monetisation model it used. Battlefront II sells at full retail price of $59.99 (or R949.95), however the game also included a microtransaction system that allows the developers to potentially earn more revenue of its player base. The microtransaction system is implemented via loot boxes. As players play the game they have the potential to earn loot boxes which can include a variety of in-game items (such as weapons, playable characters, skills and cosmetic items). However players can opt to simply purchase loot-boxes increasing the chase (and opportunity) for them to get powerful items or characters. Many have viewed this as “pay-to-win” i.e. the person who spends the most is more likely to win, given that loot boxes contain especially powerful items, and some of the most powerful weapons, skills and characters can only be obtained in loot boxes. 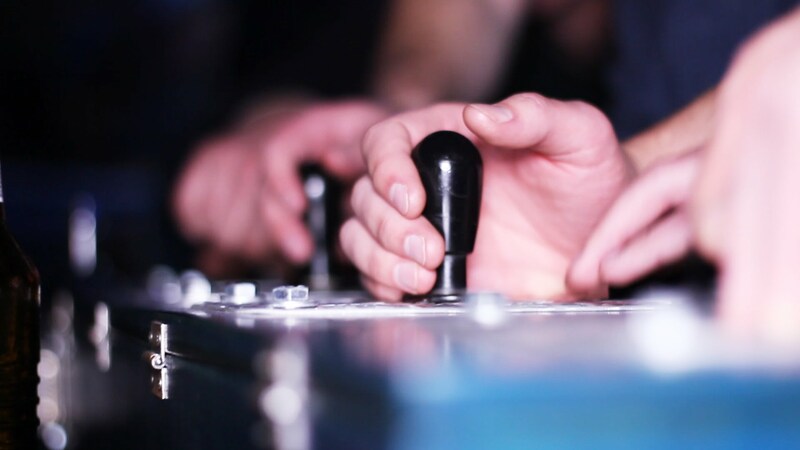 Unusually for the video game industry, players are now calling on policy makers to regulate this sort of behavior, with many comparing the system implemented (and others like it) to gambling. A Belgian politician has launched an inquiry into whether it is gambling and two senators from Hawaii are making similar moves to outlaw the model. I think it will be worthwhile to do another article on WHY game companies have adopted this model and WHAT consumers are actually angry about, for a later time as this will be long enough just dealing with the question of if loot boxes (and in-app-purchases driven by content unlocks) is gambling. What is gambling in South Africa? To answer the question “Are Loot Boxes Gambling?” we first need to understand how gambling is defined in terms of South African law. Gambling is primarily regulated by two pieces of Legislations, the Gambling Act and the Lotteries Act. Lets first start with lotteries as that a lot easier to define. At first glance, it appears that a game that uses a loot box system does meet this definition as it is a game/system that distributes prizes (the contents of the loots box). However, they are not considered lotteries since the purpose of these games (Battlefront II, Overwatch etc) is not to distribute the prizes (i.e. the game wasn’t developed as a means solely to distribute loot boxes, the game is an entertainment product in and of itself). In other words, you are not playing the game to win loot boxes, you are playing the game to play the game. Since games are not considered lotteries we can now focus on the more difficult question of if loot boxes are considered gambling in terms of the Gambling Act. Loot Box mechanics definitely do not met the criteria of placing bets, so the important question is then, what is a “gambling game” and what is an “amusement game”. regardless if the game requires skill, or chance to become entitled to the “pay-out”. A “pay-out” is defined as “any money, merchandise, property, a cheque, credit, electronic credit, a debit, a token, a ticket or anything else of value won by a player” except where the pay-out is an opportunity to play a further game or the pay-out is given to a player or team in a sporting event for that teams participation in the sporting event. Let’s examine each of these points in turn and see how they would apply to games. Do you need to pay to play? In the case of free-to-play games, no. But what about premium titles? I’d argue that the licence fee or purchase price for a premium title does not meet this criterion since it is clear from the wording in this section, and through out the Act, that the legislature intends to regulate games that require some form of payment, every time one wants to play (like putting your money in a slot machine, arcade machines or “buying-in” for a round of poker). Regardless of the premium title, once you have paid the licence fee or purchase price, once that payment has been made, you can play the game without having to pay any further, and you certainly don’t need to pay to play in each match or session within that game. So for premium titles I would also say no. By playing, are you entitled to a pay-out? This question hinges on whether the digital goods received in a loot box could fall in the definition of “anything else of value”. This has been the traditional deference raised by most in the games industry. The digital goods have no inherent value, outside the game. The fact that a grey market, outside of the game created by players may exist where you could purchase items for fiat currency, does not mean that the items have value. This defense was tested and found to be correct many years ago when Wizards of the Coast had to justify why their collectible card game, Magic the Gathering and it’s booster pack sales model was not the same as gambling. They argued that the playing cards had no inherent value, and was only an item of value to a small segment of the population. The fact that this population by their own means created and maintained a grey market for the resale of cards should not put the burden on Wizards, especially since they did not officially recognize or support the practice. If this still holds true, then the digital loot in loot boxes would not be considered as things of value. However where officially maintained parallel markets (like steams trading platform, of the real money auction house in Diablo 3) may weaken this argument (though again it would be argued that any of the items have no base-line value, and instead the value is being ascribed purely by the player base). The last criterion of the pay-out being subject to skill or chance is relatively moot, as regardless of whether the loot box systems is modelled around random drops or levelled progression it would still fall within criterion. So, because there is no pay-out nor is their a requirement to pay every time you want to play the game, games with a loot box mechanic will not be considered as gambling games under South African law. A restricted prize is undefined, but I would interpret it to mean that the prize is of nominal value or of a fixed amount, and feeding from the discussion above I don’t believe that the loot in loot boxes will meet this threshold as they have no inherent value. Regardless an amusement game will only need to get a licence if provincial law requires them to get a licence. Currently none of the provinces require amusement games to be licensed and therefor even if games with loot boxes where considered amusement games, they would remain unregulated. So they’re not gambling, should they be regulated? From the above, I don’t believe that games that use loot-boxes are gambling, and I doubt local judges would find otherwise. However this does not mean that maybe the practice should not be regulated. I think exceptionally predatory monetisation practices that result in significant harm for vulnerable groups will do a lot of damage to the industry in the long term and steps should be taken to prevent this. However the video games industry is often pointed out as one of the success stories of self-regulation, with the ESRB and PEGI being used as the poster children for this argument. I would like to see the video games industry being given the opportunity to attempt self-regulation first prior to formal legal regulation being put in place.